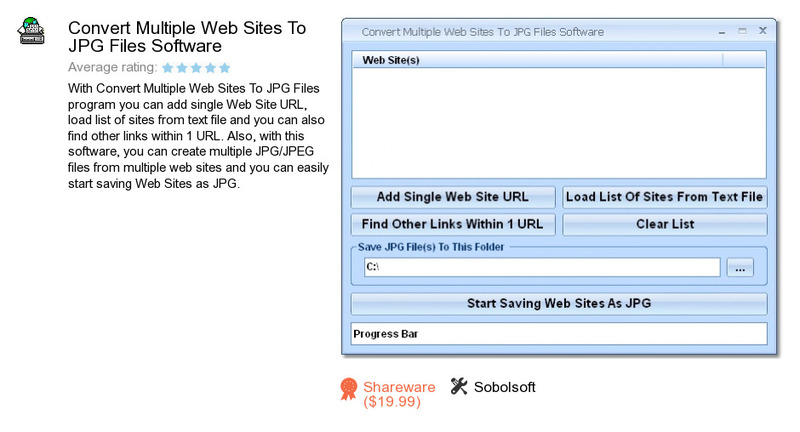 Convert Multiple Web Sites To JPG Files Software is a product developed by Sobolsoft. We know of versions 7.0, 1.0. Version 7.0 is available for free download at our site. Convert Multiple Web Sites To JPG Files Software installation file has a size of 31,299,050 bytes. Sobolsoft also publishes Excel Import Multiple Text Files Software and MS Visio Print Multiple Files Software.